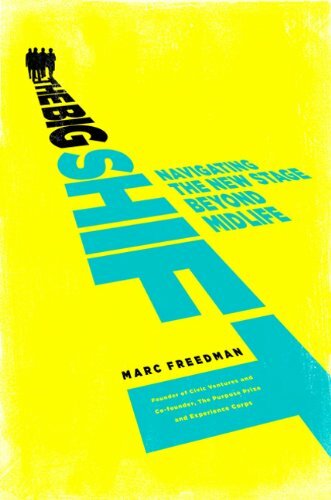 Marc Freedman is CEO and founder of Civic Ventures, a think tank on boomers, work and social purpose. He spearheaded the creation of Experience Corps, now one of America’s largest nonprofit national service programs engaging people over 55, and The Purpose Prize, which annually provides five $100,000 prizes to social innovators in the second half of life. His earlier books include Encore: Finding Work that Matters in the Second Half of Life (praised as "wonderful" and "highly recommended" by Library Journal); Prime Time: How Baby-Boomers Will Revolutionize Retirement and Transform America (hailed by The New York Times as an "inspiring, informative, mind-opening book"); The Kindness of Strangers: Adult Mentors, Urban Youth, and the New Voluntarism (called "the definitive book on the [mentoring] movement" by The Los Angeles Times). Recognized by Fast Company magazine in 2007, 2008 and 2009 as one of the nation’s leading social entrepreneurs, Freedman is widely published and quoted in the national media and has been honored with numerous awards and fellowships, including an Ashoka Senior Fellowship, the Maxwell A. Pollack Award of the Gerontological Society of America and membership in the Innovators Network of The Japan Society. The NonProfit Times named him one of the 50 most powerful and influential individuals in the nonprofit sector in 2010. Civic Ventures and Freedman received the 2010 Skoll Award for Social Entrepreneurship at Oxford University in April 2010.